The toughest part of landing on the street for Chris wasn’t the lack of privacy while he slept, or the cops that came around to shoo him off the block, or even the rats that ventured out of the storm drain near his tent at night, sending gross shivers down his spine every time. No, after three weeks of living on the street, Chris decided that the most unpleasant variable was how cold and damp a sidewalk could feel, even during the L.A. summer. He tossed and turned at night, feeling both hot and cold, awash in questions about how long he would be on the street — and what it would take to have a home again. I ran into Chris outside of a strip mall along busy Venice Boulevard, where he was spending his Saturday afternoon panhandling for change near the entrance to a supermarket. He cut an unassuming figure, sporting the early beginnings of a beer belly under his plaid button-down and a flat-brim cap over his curly blond hair. The 29-year-old moved here from the outskirts of Dallas to pursue an acting career in 2016, often curling up on the couches of friends, and friends-of-friends, for weeks at a time. After a few months, he landed a small apartment near UCLA and felt some semblance of stability. After a year, however, his prospects were looking bleaker. The calls for auditions trickled to a halt, and he had run through his list of people he could bother for a favor. The U.S. is seeing homelessness grow on a national scale for the first time in nearly a decade, with about 554,000 homeless people tallied in 2017, representing a 1 percent bump from the previous year. 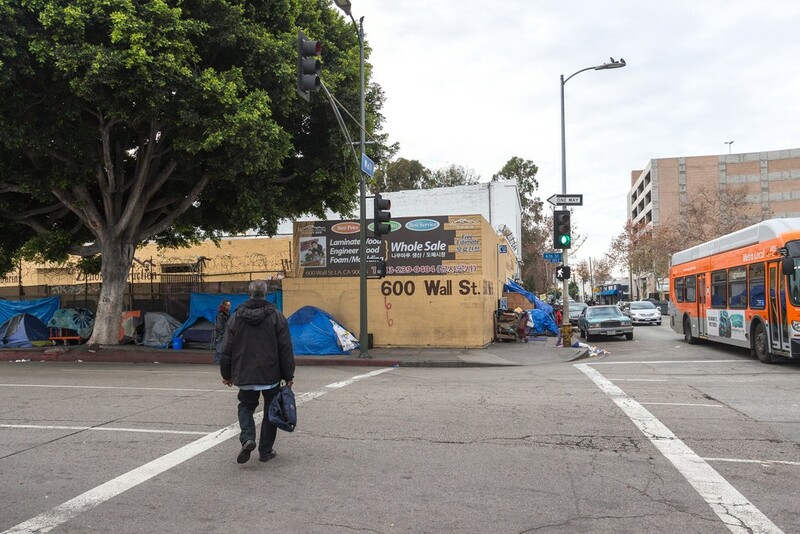 The crisis has been more dramatic in major urban cities such as L.A., San Francisco, New York and Seattle, where homeless populations have been expanding for years. Of this national population, about a quarter is considered chronically homeless, meaning they’ve been without permanent shelter for more than a year. Experts agree that the chronically homeless are the ones who need help the quickest, given that they often suffer from lingering physical or mental health problems, have the most traumas accumulated from a life on the street and use a disproportionate amount of public dollars and services to boot. 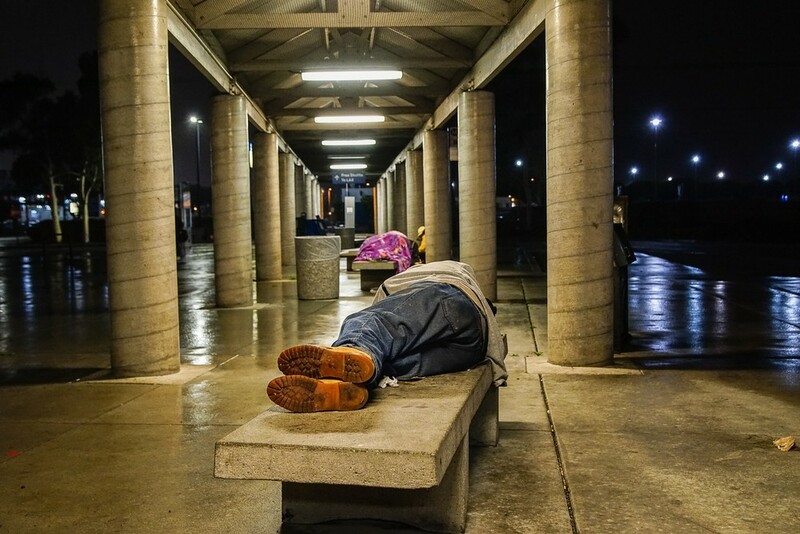 Many are desperate to stop wasting away on a street corner or inside of an emergency shelter. Others, however, settle into a lifestyle on the street, embracing a life of no rent, little property and few rules. Whether by setting up a home on the banks of a city’s concrete river, in a tent in its downtown center or off to the side of a train platform near new $4,000 apartments, they survive on the street through a combination of savvy, bravery and luck. 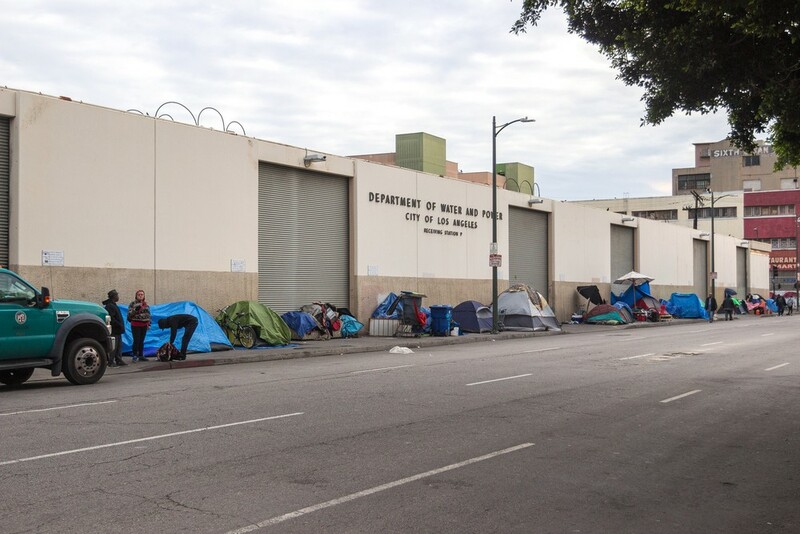 These are the so-called “service-resistant” homeless, and as city and county governments try to stymie the growth of homelessness, this group of people has become a flashpoint for a debate on who deserves the public’s assistance — and how much of it they should get. Those who refuse services or housing have long been judged by the public as individuals who have chosen to spurn society’s norms, and plans to help them have always had a punitive edge to match. San Francisco is dealing out citations to the homeless for small quality-of-life crimes (like urinating in public) and threatening arrest for those who refuse to accept assistance. Santa Ana rallied cops and sanitation workers for a massive eviction of hundreds of homeless people, with additional policies to jail people who don’t move into a shelter. L.A. has reinstated a ban on sleeping on the sidewalk, which if enforced, could criminalize the actions of thousands on any given night. New York City used to evict formerly homeless people from their shelter if they didn’t hold down a job, and more recently has offered free one-way bus tickets to its chronically homeless, to rid the city of their plight (it’s one of more than a dozen American cities with similar programs). Broadly, more than 80 cities have made it illegal to sleep in cars, and more than 60 have outlawed camping in public. It’s a bleak picture for those who have adjusted to life on the street, but the loaded phrase “service resistant,” and the cultural view that beggars really can’t be choosers, obscures a much tougher truth: Chronic homelessness is an easy trap to fall into, and it can leave deep, lasting scars on the people who struggle with it. Homelessness experts with street outreach experience say that convincing the men who say they don’t want homes will take much longer, and require more persistent energy, than public officials anticipate. Angelia Harper, an advocate for the homeless often called by her nickname “Big Mama,” knows that establishing trust with people who feel betrayed is easier said than done. Harper used to be homeless herself, in 2006, and went through the spin cycle of landing at an emergency shelter, struggling to find transitional housing and getting sidetracked with promises from social workers that led to no results. Outdated paperwork, incorrect instructions, rude case managers, thefts and fights inside supposedly safe shelters, year-plus waits for housing with hardly any updates — Harper’s voice rises with disgust as she recounts the list of challenges for the chronically homeless. She’s now made it her job to sort out the maze for others who face those challenges, especially those who don’t buy that the system can help them. Harper knows too many who have tried to land an apartment or certain government benefits only to be rejected because of a criminal record, pre-existing debt or an inability to keep a job. Others give up after finding out that they can’t bring their pet dog into a transitional shelter, or can’t move their girlfriend or boyfriend into a solo housing unit in a homeless-housing complex. Not to mention, sometimes said housing can feel more unsanitary and dangerous than being on the street. A 2015 investigation in New York City, for example, found its low-income “cluster” apartments were the “worst maintained, most poorly monitored and provide the least adequate social services” of all the options for the homeless, with vermin-infested rooms as well as faulty equipment, including a radiator that exploded and killed two sisters in 2016. At least the street can provide freedom and a measure of personal control, as 53-year-old John Chavez found. He’s spent the better part of the last decade living on the sidewalks of Downtown Los Angeles, even while working night shifts as a security guard and doing other odd jobs. 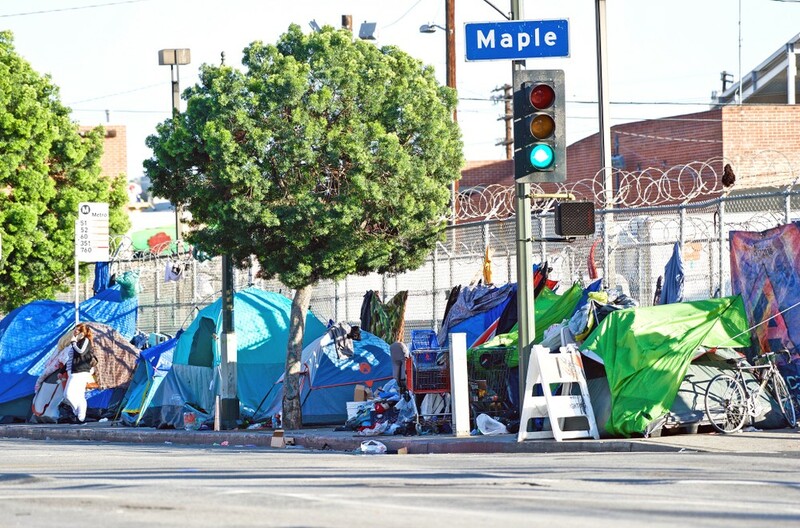 Staying in and around the chaotic homeless hub of Skid Row, Chavez grew to love the constant party of life on the street for a junkie — “I was always running into someone who was on their way to, or on their way from, er, getting party supplies.” The favored supplies were black tar heroin, crystal meth and nuggets of crack cocaine, though Chavez had the constitution to try anything at least once. A terror of a teenager who rejected his stepdad and mother, got sent to a foster home at 16, stole a car from said foster home and eventually ditched the car to walk to California, Chavez learned to enjoy the rhythm of not knowing where he’d be bedding down on a given night. He spent 17 years behind bars in county jails and state prisons, for various stints on drug possession and distribution charges. Wily and self-assured from a young age, Chavez saw the criminal justice system as a game he could navigate, even if it meant landing in lockup every few missteps. 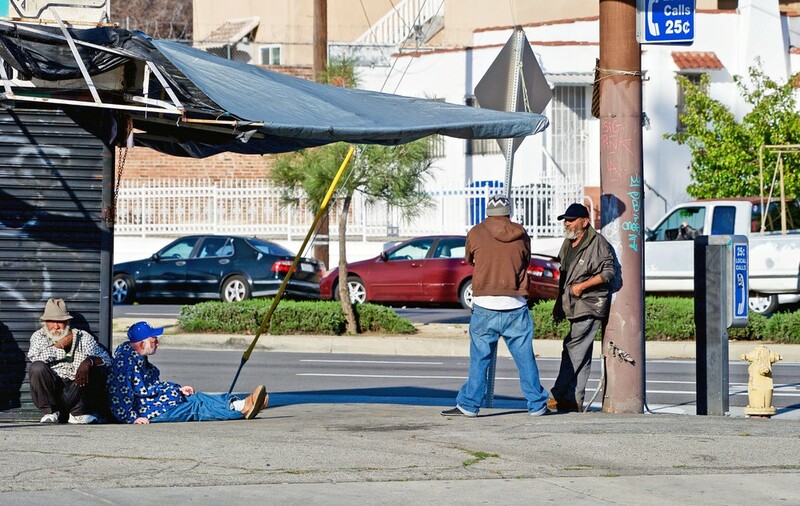 And when Chavez donned his street clothes and strolled through the exit for released felons, he often landed right back on the street, pitching his tent on the cleanest patch of Downtown L.A. sidewalk he could find.